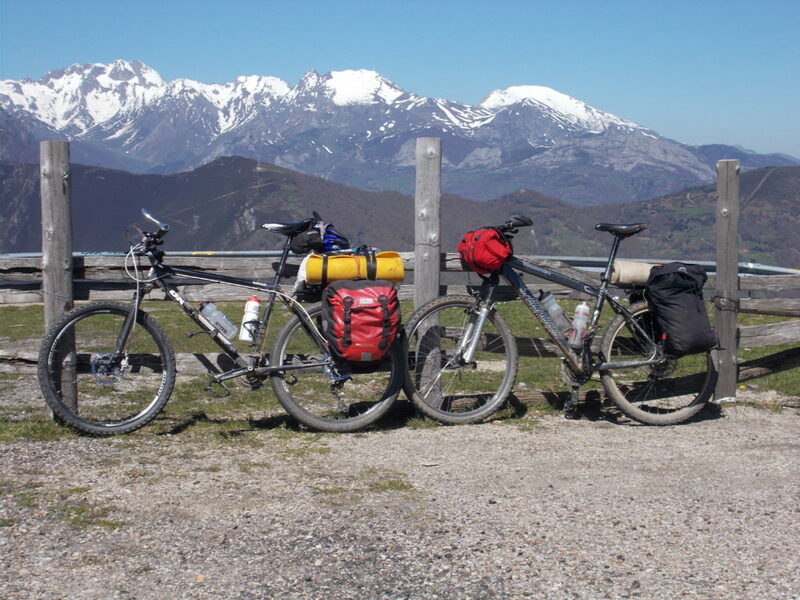 A 12-14 day, 1,000km cycle tour across Spain about 70% off-road. If you’re looking for a long dirt road bike trip in Europe, this has got to be one of the best. The Via de la Plata travels through a wild, sparsely populated part of Spain – starting in Seville and finishing on the Atlantic coast of northern Spain. Traversing a range of landscapes from mountains, high plains, oak forests and ranch country with beautiful Roman towns, the riding is as diverse as the landscape – dirt trails, rocky and sandy jeep tracks, singletrack and earth farm roads. The Via de la Plata is a Roman road that for centuries has been used for trading, travel and pilgrimage. 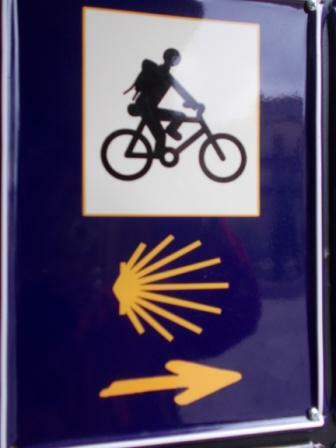 Between Seville and Leon, the Via is used as one of the Camino De Santiago pilgrimage routes and is fairly well marked with both the Camino signs of a shell and yellow arrows. Seville Airport is quite easy to ride out of – see ‘Travel’ section below.The first few days take you from the lowlands surrounding Seville as you gradually climb through beautiful oak pasture lands – dehesa in Spanish – and passing through tiny whitewashed villages. All the time you’re steadily climbing and the oak forest gradually gives way to high plains, meadows and cereal crops. This is a sparsely populated landscape and is possible to ride 3 or 4 hours without seeing anyone. 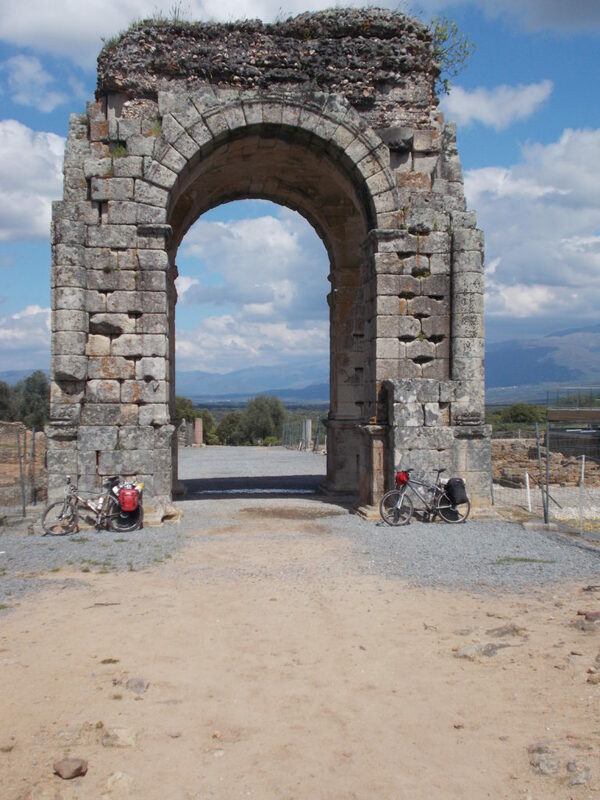 The route then takes you across before descending to the town of Merida with its impressive Roman bridge. From Merida there’s a mixture of hills and descents and once beyond the village of Villafranca the landscape opens out into plains covered with vines. In the far distance of the next range of hills to be crossed way you climb the Sierra Centinali pass before reaching Alcuescar. 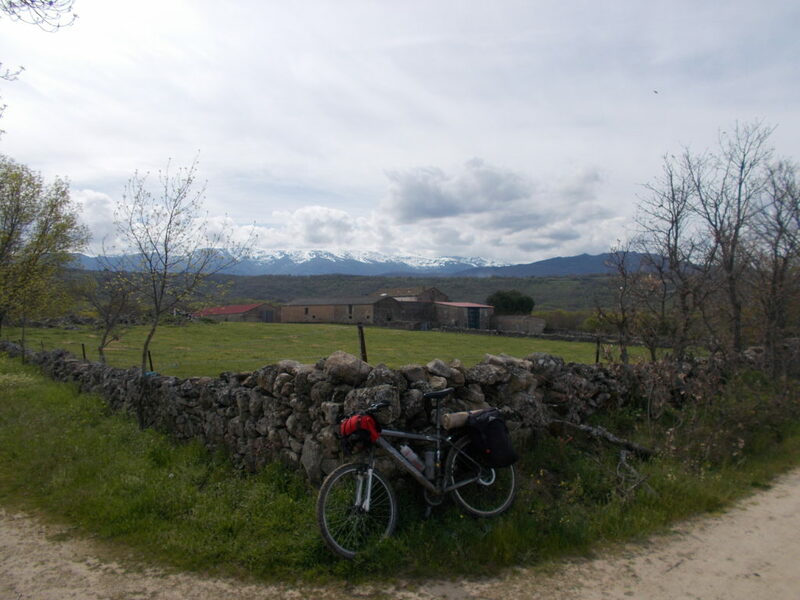 The next few days take you through the mountains, steady climbs and sweeping descents as you cross the western edge of the Sierra Gredos with great views of the mountains, still snow capped in late spring. 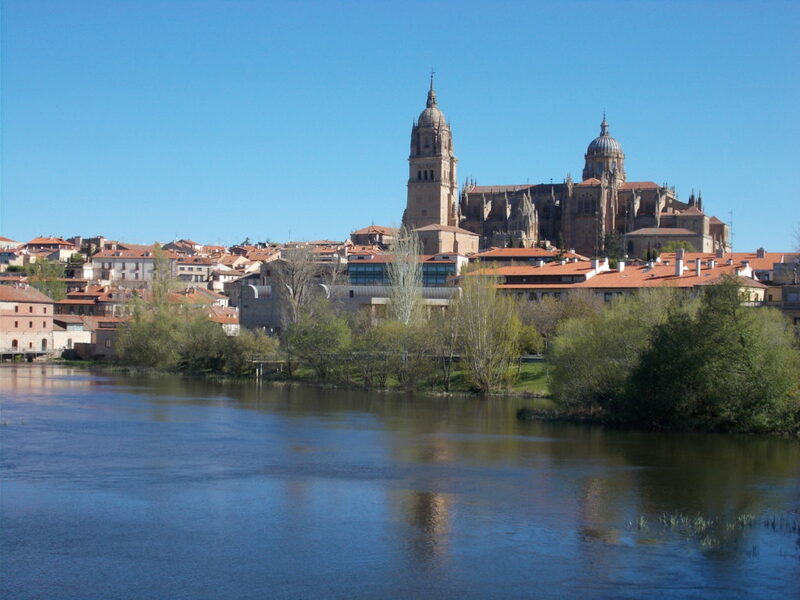 You also pass through some impressive mediaeval towns and villages such as Caceres and Gallisteo and the Roman ruins of Caparra. The climbing continues through the pass near Bejar as you cross the edge of the Sierra de Candelaria you across the mountains that divide northern and Southern Spain – a tangible sign of progress! 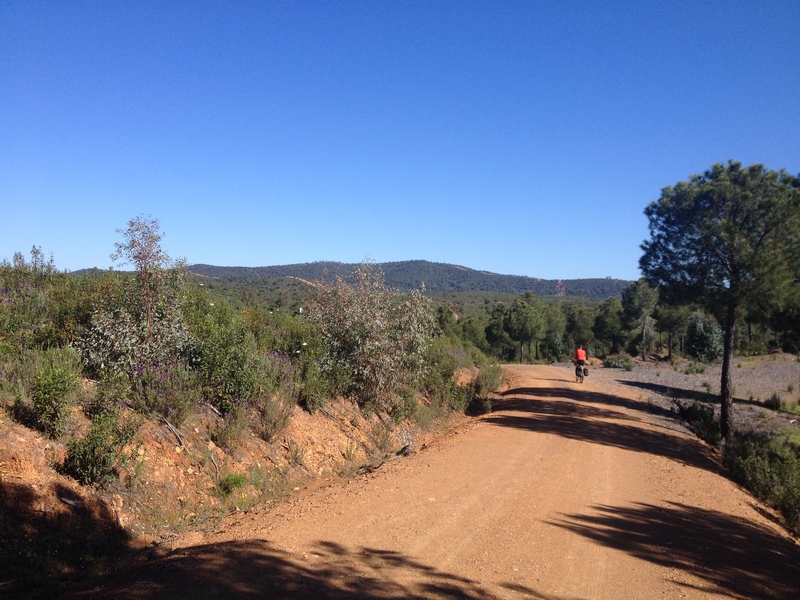 As you leave the mountains behind the up and down as the trail continues and eventually leads to red dirt tracks through ranch country as you head out to the mesata ( the high plains of Central Spain) beyond Salamanca. Salamanca is a beautiful UNESCO world heritage site which is entered across its Roman Bridge. 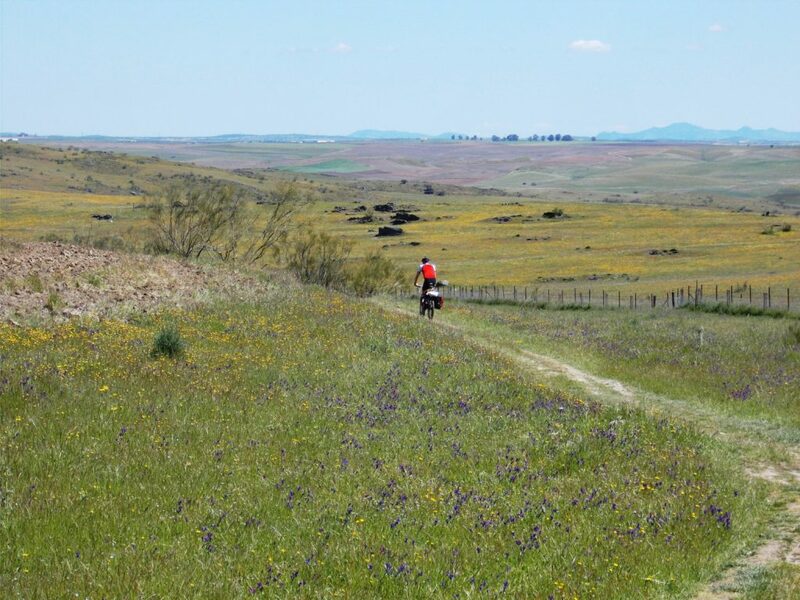 The next few days riding from Salamanca to Leon provide generally easy riding and good dirt trails across the vast rolling plains of the mesata which are cultivated with wheat, vines and sunflowers. The land here is 800-900m altitude. 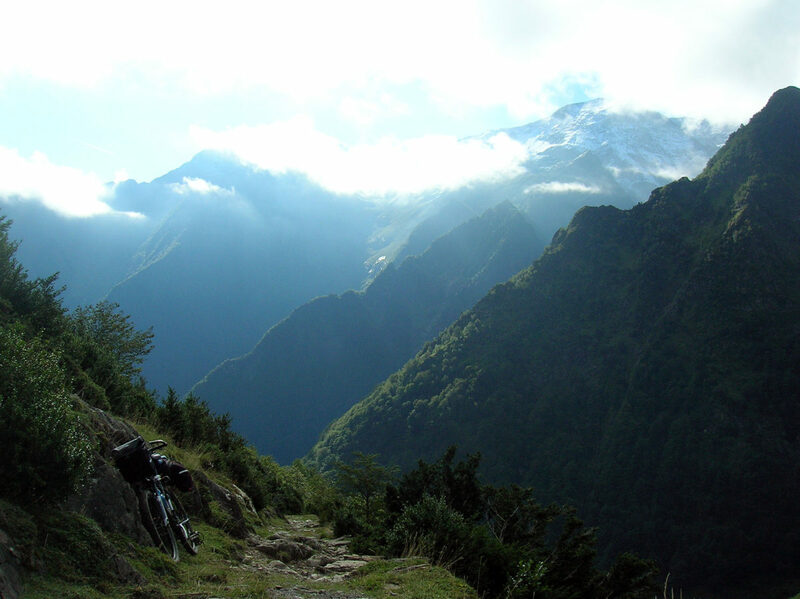 There is a sense of space and distance on this section which is emphasized as gradually the peaks of the Sierra Cantabrica appear on the horizon and steadily grow in size as you ride towards them. The city of Leon marks the beginning of the final section of the Via de la Plata. 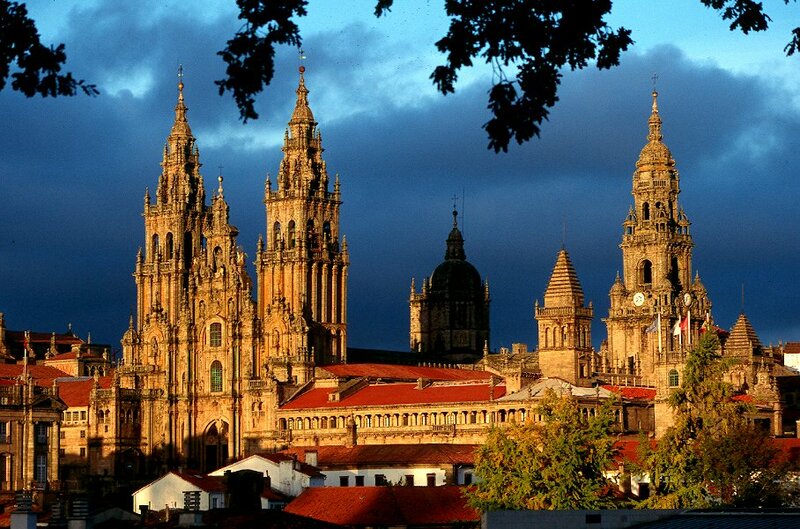 The Camino De Santiago leaves at this point and heads west to Santiago itself. But the yellow markings are still evident as another Camino route – Camino de San Salvador – starts in Leon and finishes in Oviedo. This route can be followed to La Pola de Gordon. From here there is a key choice in following the Via de la Plata – road or off-road route. The off-road route is a tough proposition which will entail much pushing the bike up and down hill as well as considerable climbing and descent. Route finding may be difficult so downloading the GPX file from the Via de la Plata website might be worth taking or buy maps locally. This route ends in Gijon on the coast. The road alternative from La Pola is naturally much more straightforward but still gives good riding and fantastic scenery. From La Pola take the N630 over the Puerto de Pajeres at 1,378m. Traffic is fairly light on the pass although there are a few wagons. There are few short tunnels that are well-lit but lights are a good idea. 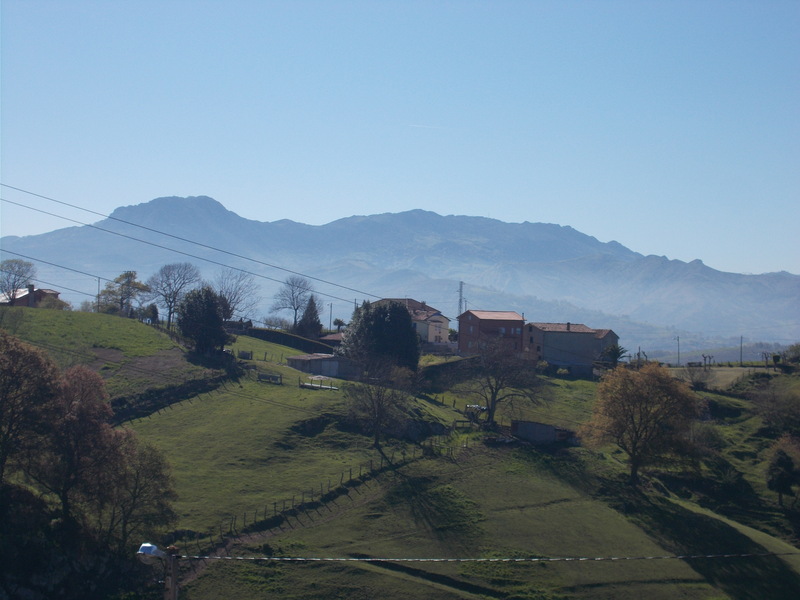 Views from the pass are superb and then you descend to the town of the Mieres. By now you have crossed the main Cantabrica mountain chain but there are still the few ranges of hills to cross before you meet the coast. A great road route from Mieres to the coast is to head north easterly on small roads taking in Langreo, Nava , Villavicosa. The secenery is lush alpine pasture with views of both the main mountain chains and the pastures leading down to coast. 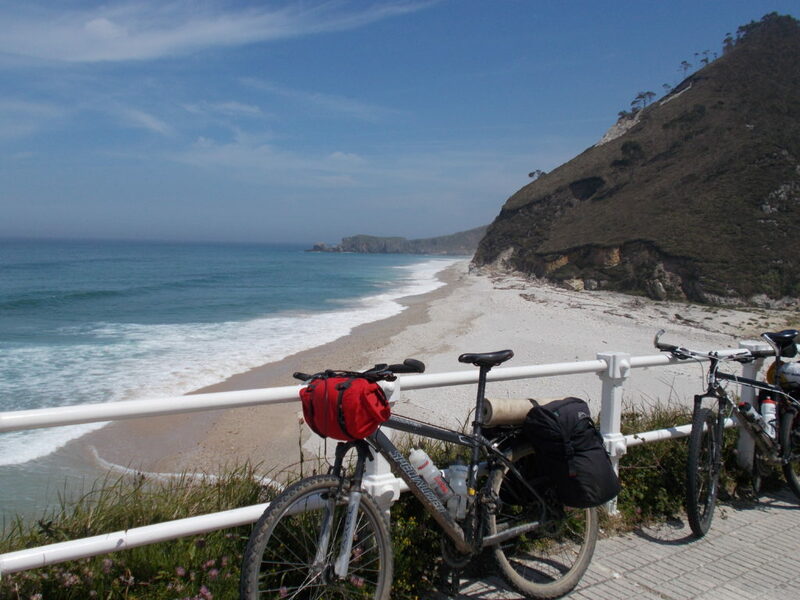 And then finally…….. to the beach at Lastres or Colunga. Outward. Seville airport is an easy starting point- Easyjet fly from Gatwick to Seville – and leaving the airport is quite straightforward. Follow signs to the motorway and at the first roundabout which leads on to the motorway there is an exit for a minor road that runs parallel to the motorway. You can take minor roads until you join the Via de la Plata at Castillablanca. Return. From Colunga it is about 160km along the north coast to the ferry at Santander for the ferry or about 100 kilometres to Aviles airport. If time is short the FEVE railway http://www.renfe.com/EN/viajeros/feve/which runs from Oviedo to Santander provides an easy way of getting to the ferry. There are usually two trains a day. If you fly from Gatwick and leave your car there, take the Brittany Ferries http://www.brittany-ferries.co.uk/ from Santander to Portsmouth as there are direct trains from Portsmouth Habour back to Gatwick. There are very few campsites on this route and those that are rarely open before 31 May. Surprisingly there are few opportunities for wild camping as most land, even in remote places, is fenced off and there are virtually no streams until you reach the northern mountain ranges. 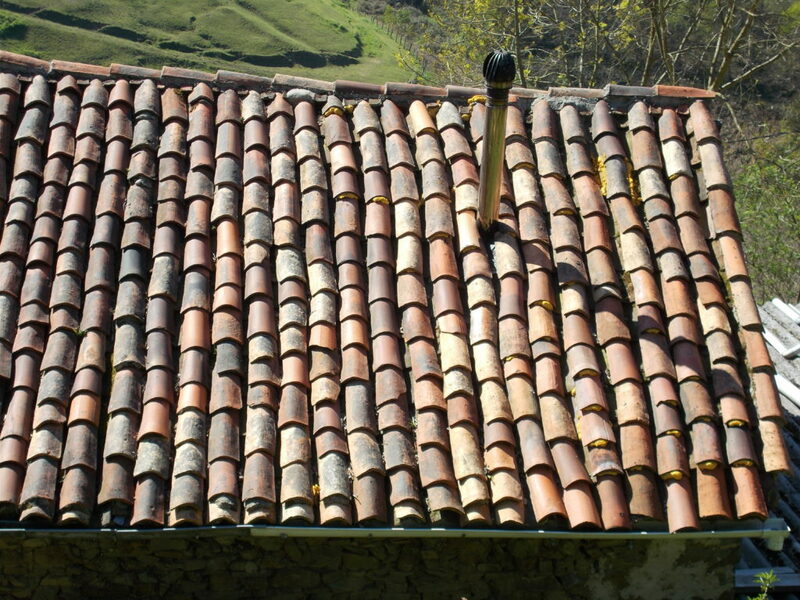 But there are albergues (pilgrims’ hostels) in almost all of the villages along the Camino route. These provide good basic accommodation in a dormitory and some also provide meals. Further north beyond Leon there are less albergues as the main Camino route heads off to the west but small hotels- ‘hostals’ in Spanish – provide fairly cheap accommodation. Supplies – the Via passes through some very sparsely populated parts of Spain so there’s sometimes quite a distance between villages with shops and you have to get your timing right – shops generally open at 9.00am, close during the afternoon and open again at 5.00/5.30pm until about 8.00pm. Dinner is not usually served before 9.00pm but some restaurants on the Camino section of the Via do have a ‘pilgrims menu’that is served earlier. I’m looking into this but flummoxed by how to get bike out / back safely, ieI I can’t take my usual bike box Alan, as it would be left in Seville! Did you fly it out in cardboard and then get ferry back? Excellent info – thanks for getting back to me – and so quickly! My concern on these pilgrim routes is that pilgrims I spoke to said cyclists and hikers don’t mix well. Cyclists are fast and mostly focused while hikers are “absent minded” as less focus is required. 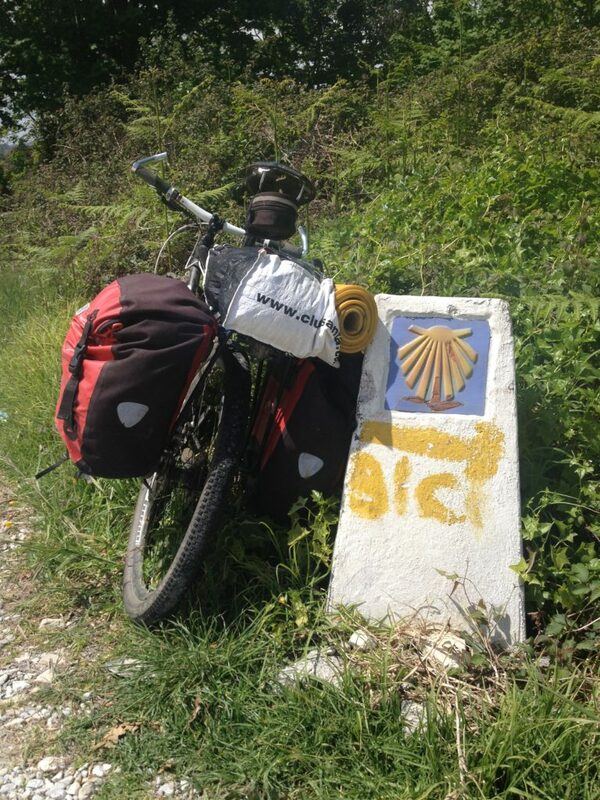 Yeah, I’ll be cycling the Camino. Can’t wait! Thanks for the write-up, Ian! site looks pretty helpful and I’ve downloaded the fox files already. Thanks for this, can’t wait to go!! I hope you have a good trip. 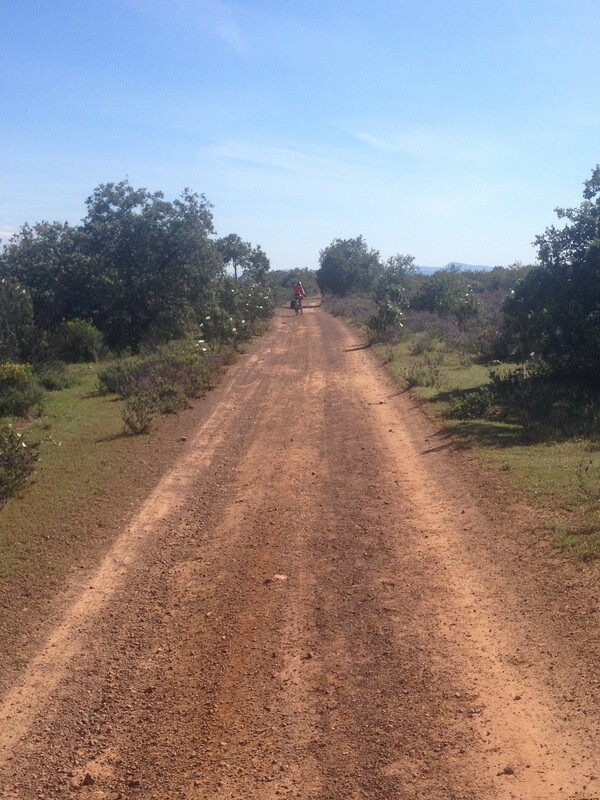 There is so much good riding in Spain, particularly dirt road riding. I’m planning some rides in Portugal next year so more posts then! Thank you so much for this recap! I’m planning my Via de la Plata ride and saw that you noted it’s ~70% off-road and you chose a mountain bike. I’ve heard the alternative is to stay on the old highway, which would lend itself better to a touring bike. Are you able to say how much of the route I’d be missing if I went with a touring bike and stuck largely to main roads instead of a mountain bike? If I’m on a mountain bike, is it fairly easy to go between the two, or does it end up being more difficult to have a mountain bike on smooth paved roads (figuring it would be heavier than a touring bike)? I’m trying to decide between both experiences and am leaning toward a mountain bike / staying off the beaten path, but wanted to see if there’s flexibility. Happy to connect offline if it’s easier to discuss 🙂 Thanks in advance! There is road version of the Via de la Plata, details in this link http://www.larutaenbici.com/en/etapas-carretera The N630 is the road that used mostly by the road route. Although it’s classed as a main road it’s generally a very quiet road as there’s a motorway that runs parallel to it for most of its length which takes most of the long distance traffic. North of Leon there is more traffic on the N630 but not so much that it detracts from the ride. I think the best experience is to follow as much of the off-road route as you can – it takes you on some great dirt road tracks that are not technically difficult. On some sections you can ride for hours without seeing anyone and you feel immersed in the landscape, occasionally passing through tiny villages. With regards to the bike, I rode a hard tail mountain bike with light off-road tyres (Schwalbe Landcruiser) which had enough grip off road but rolled well on roads – it’s not much heavier than a tourer and gives the best of both worlds. Which ever route you choose you’ll have a wonderful trip – it’s a great part of Spain!